While Aikido was recognized officially, it was not granted the status and potentialities other Eastern martial arts had been given. 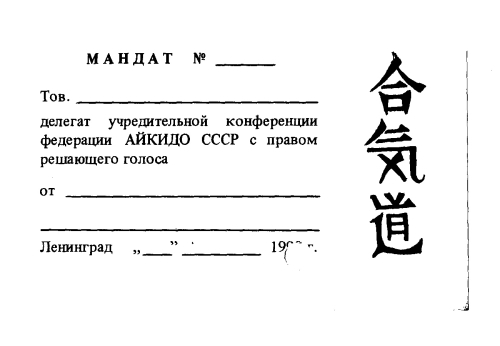 It was necessary to establish the Aikido Federation of the USSR, to ensure the higher level of the public support and even the financial support. But this problem seemed to have no satisfactory solution. The point was that most of the Aikido practitioners in Moscow belonged to the Aikikai direction. They were attended by Aikikai Hombu Dojo, their level of training, education and knowledge was very high. Naturally, they insisted that the new organization must be the Aikido Aikikai Federation of the USSR. 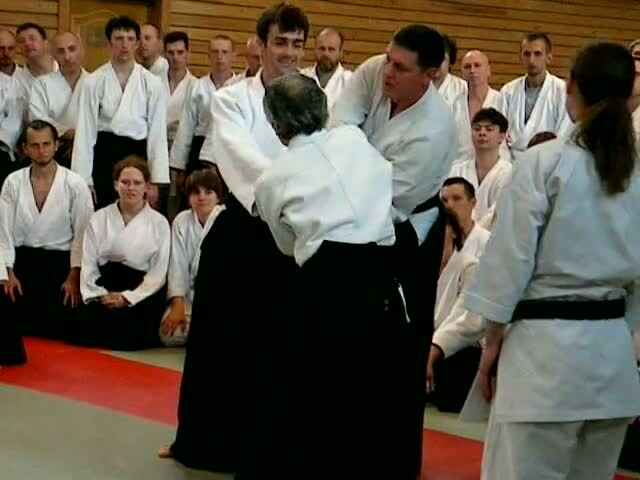 But apart from the Aikikai direction, with its masses of practitioners and the great authority, in the USSR were other Aikido directions, with their devotees and trainees. In case of foundation of the Aikido Aikikai Federation of the USSR, all other directions would remain beyond the frames of the public recognition, and therefore their status would be uncertain and illegal. And if until that moment we were together as a united Aikido community, with tight contacts and the possibility to exchange our experience and share our successes and discoveries, the foundation of the Aikido Aikikai Federation would make it impossible in the future. It was impossible also to explain why we might not exist within the framework of a single organization. It is true, we all came from the same school – that of Morihei Ueshiba, and the whole philosophy and even the first kanji "Ai" in Aikido means joining, unifying, harmonizing. The majority of aikidoka’s who thought that it was necessary to create the All-Style (uniting all styles) Federation were practicing Aikikai. But for us the very thought to break off all ties with our friends only because they were practicing another style seemed treacherous; in addition we assumed that it would be structurally incorrect action. By that time we had the experience of successful operation of the Aikido Federation of Leningrad and the Leningrad region that was established to operate as an All-Style Federation. All these heated discussions were to no avail. 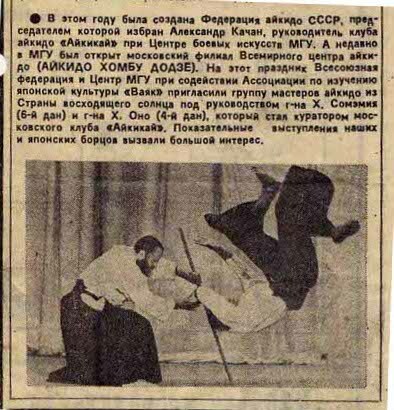 But suddenly it was known that in the newspaper Sovetski Sport appeared information that the Aikido Federation of the USSR was properly established. We were shocked. It was the scandal! You must remember that in that time any error in the newspaper publications was quite impossible. Everything that was printed was the undisputed truth. Nevertheless, it was an error. My telephone apparatus was melting because of ceaseless indignant calls: how it may occur! Behind our backs! What to do next? Later on, all passions subsided, but the doubts remained. What if this situation would be repeated, and this time information would be quite correct? However, the consensus was far from having been reached. We begun preparations for convening a statutory conference for discussing details of foundation of the Aikido Federation of the USSR. The question what this conference might be had to be resolved in the framework of the conference. On October 27, 1990 in the Olympic hall of the Leningrad Municipal Committee for the Physical Culture and Sports there was held the statutory conference for the foundation of the Aikido Federation of the USSR. There were manufactured memorable badges, delegate mandates and certificates of honor guests, invited TV reporters and corespondents of a few newspapers. To decide the question of the foundation of the federation of the USSR, the presence of at least eight union republics was necessary. We had a quorum. But the number of people willing to take part in that important event exceeded all the reasonable limits. We might not say "no" to really distinguished persons. In the result we decided to give a delegate mandate to representatives of large federations, while all other guests might have the certificate of honored guests. All persons present were satisfied, no one complained. We declared about the foundation of the All-Style Aikido Federation of the USSR and awaited a squall of protests would break. To our great surprise, no protests from the Aikikai representatives were heard of. Representatives of other styles accepted the statement quietly. As a Chairman of the Organizational Committee, I read the draft Statute. There were suggested quite few amendments. The distribution of "porfolios" went on as quietly. Weary, but nevertheless happy we went home. An interesting event occurred when I was presented with the Certificate of registration of the Aikido Federation of the USSR. They called me up in the evening from the Ministry of Justice and told the Certificate would be presented to me in the tomorrow morning. It was already too late to take train or to fly to Moscow, for it was too late even to go to the airport. Therefore I went by car and in the morning I was in Moscow. 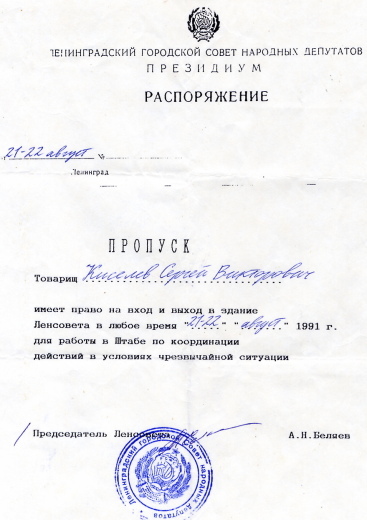 I received the Certificate from the hands of the Minister, thanked him in due words necessary to be pronounced and at in the evening was back in Leningrad. "…pronounced the warm words of thanks and made sure …" and I smiled, spoke and made sure. Actually, my friends and acquaintances might be quite certain that I was proclaimed the first secretary. Indeed, I was really dignifued! The registration of the Federation in a moment gave us a new status. I started to receive the mass of invitations to come to different meetings and events. Every letter printed on the Federation form, with the corresponding stamp affixed to it generally became considered and as a rule had a positive answer. Yes, unmistakably, the registration involved many positive results. But there were many negative aspects. In our country still continued the Soviet period, and the government machine was still working in accordance with the established procedure, no matter whether it was with interruptions. I was buried under an avalanche of papers. It was necessary to be registered in appropriate bodies, submit plans of operations. And even pleasanter moments (in particular, financing of the federation by the government) required to spend plenty of time and nerves. 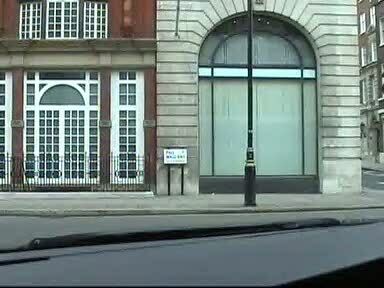 In the morning of August 19, 1991 I was waked up by a call. My good friend, the writer and the author of the newspaper Literaturnaya Gazeta Zhanna Braun (a person so extraordinary and brilliant that she may be the hero of a broadcast) cried to me: "Serezha, turn on the receiver! A coup d’etat!" They were showing first "The Swan Lake", then the special issue of news. Then called up Oleg Rish (the chairman of the Union of Eastern martial arts of Leningrad and the Leningrad region (SVEL) and said that the decision was taken to convene the extraordinary meeting of the presidium of this Union. It must be noted that SVEL was integrating all federations of practitioners of the Eastern martial arts. The USSR was still existing then, and all practitioners wanted to practice martial arts legally, without fear. In addition, there was there a boom for these martial arts. More than 75 thousand of martial arts’ practitioners were then registered. All federations were headed by the members of the city administration, their financing was arranged and the support of the municipal authorities ensured. Partly for this reason, the SVEL was a well-managed organization. The SVEL presidium was extended to include invited trainers of good reputation. The agenda consisted of a single question: "What have we to do?" After heated discussion, the decision was passed by the vast majority of votes to support Boris Eltsyn (one cautious person voted against). The protocol shall be delivered to the Municipal Executive Committee by Oleg Rish, Alexander Tunik and me. There we were given the round-the-clock passes and sent to the military, who informed us that an arrangement was concluded with the Leningrad military headquarters that no soldier would be allowed to appear in the vicinity of the Leningrad Executive Committee. Nevertheless, there appeared some people in uniform, brought bottles and cans with the inflammable liquid and started to teach people how to make "Molotov cocktail". When the military tried to detain them, they fought quite professionally and then fled. We were commissioned to solve this problem. We arranged groups of 5 to 6 persons to stay along the perimeter at the distance of twenty meters one from another and watch for provocateurs. They never appeared again. After the coup d’etat was liquidated, several thousand of people were granted awards. Why thousands? We have only 100 to 150 persons, and nobody of them was given any award. Sure, the point is not in awards, but we as leaders felt then ill at ease. In due course the Soviet Union ceased to exist. Th union republics became independent sovereign states. We convened the meeting of the presidium of the Aikido Federation of the UUSR that ceased to exist. We decided that we might remain within the framework of a single organization to be named the Aikido Federation of the CIS. 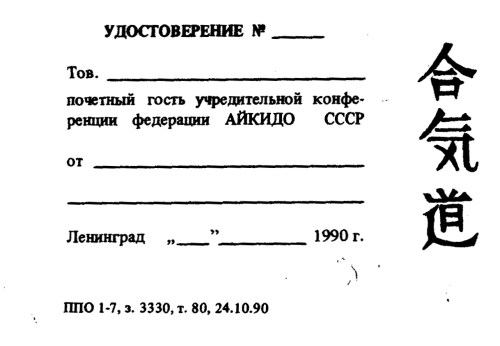 I did not remember when, in January or February of 1992 I came to Moscow to register the new organization. 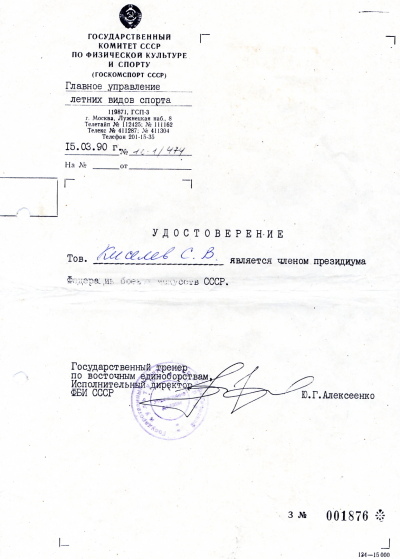 In the Ministry of Justice they got rid of me as of an importunate fly: you may continue to exist with the old stamp and available documents, like nearly all Russian organizations. 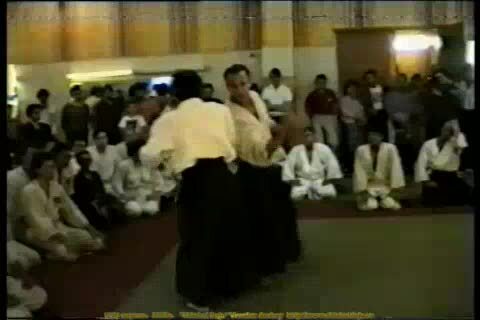 In the late fall of 1992, Igor Shmygin and Vladimir Goryunov held the Aikido festival in Kiev. Training was conducted by Naomi Namura. On one of those days the leaders of Russian commands gathered in the foyer of the Sports Palace. We decided to establish the Aikido Federation of Russia. I suggested Vyacheslav Matveyev as the President of the Federation. But it turned out that in Moscow circles there were some differences concerning this post, and Matveyev was outvoted. At the suggestion of Nikolai Yegorov, I was elected the President. 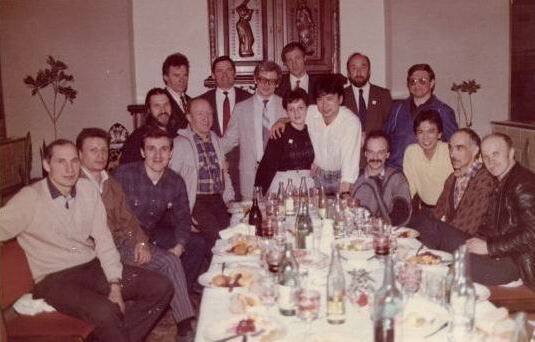 I already was the President of the Akikido Federation of the CIS (in a year it would be renamed MEAFA, i.e. International Euro-Asian Aikido Federation) and I was not interested in an additional load. Within the framework of the Aikido Federation of the CIS I was engaged in operations of the Aikido Federation of Russia, but did not register it because I was told that it would be a mere formality. It turned out to be my error. Part of Moscow Aikido practitioners left our federation and in the June of 1995 registered their new organization named by them the Aikido Federation of Russia. Further on, to avoid confusion, I will name representatives of this new federation "Muskovites", though it would be worthwhile to remember that in Moscow there are still some clubs – members of our Federation. In that time in our Federation were included representatives of 42 regions of Russia. Naturally, "Muskovites" could not have comparable representation. According to the current legislation, to register a public organization as a Russian, this organization must include representatives of at least 46 regions. We wondered how the "Muskovites" would register the organization of this level as the Russian one. Later on we were informed that, to impart to the organization the Russian status, it would be enough if one of the founders has the Russian status. Instead to use this possibility, we tried to form Aikido groups in as many regions as possible.